After a few months of messing around, I finally came up with a stable solution that works well. 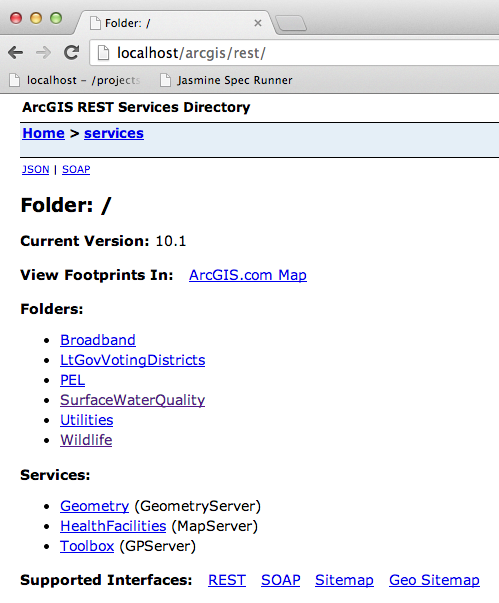 I now do all of my testing and development in OSX and am still able to hit ArcGIS Server with relative urls (/ArcGIS/rest/services...) from within my apps. I accomplished this with a few tricks within the virtual machine software that I use, VMware Fusion. The first goal was to be able to serve projects that are located within my OSX file system through IIS on my Windows Server 2008 virtual machine. 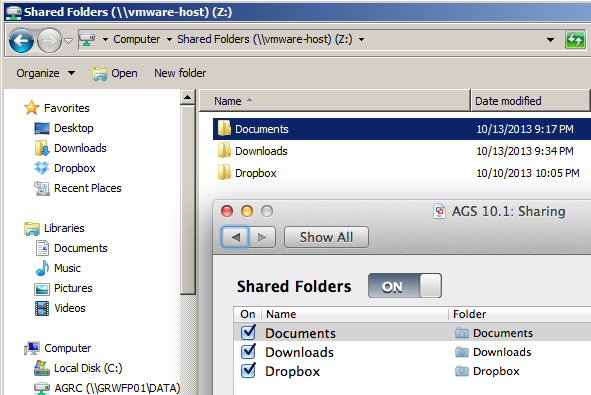 This is accomplished by setting up a shared folder in VMware Fusion (Settings -> Sharing). 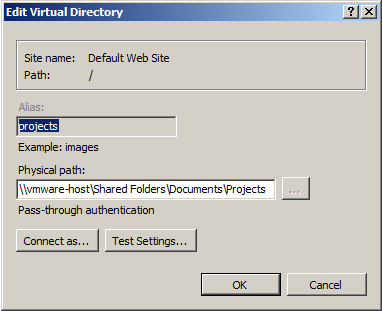 Then I set up a virtual directory in IIS that points to that shared folder. Make sure that you have the \\vmware-host\ in your path. I had to hand type this in to get it to work. This enabled me to hit my web apps that were stored on my Mac from my Windows IIS. However, to hit my VM from my Mac, I still had to use it's ip address. This was a big pain because by default it is not static which meant I was always having to check my VM's ip address and I couldn't bookmark anything. 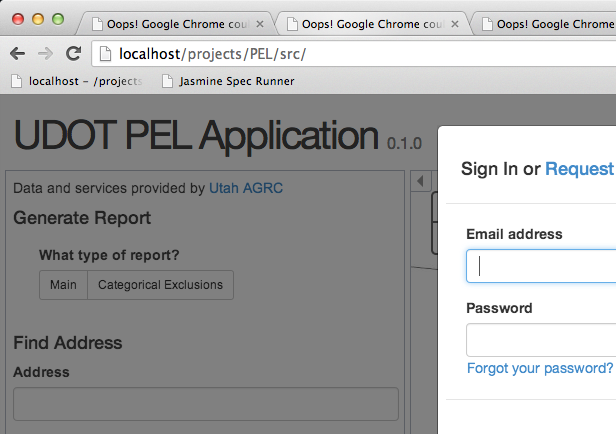 Finally, I came across an article showing how you can assign a static ip address to your guest and then forward localhost on your host to your guest. The first step is to assign a static ip address to your guest VM by appending /Library/Preferences/VMware Fusion/vmnet8/dhcpd.conf. You can read the article for the specifics of what to add. I can now write and debug my apps on my Mac but have them served up through IIS on my windows VM.